Just a really quick post today. 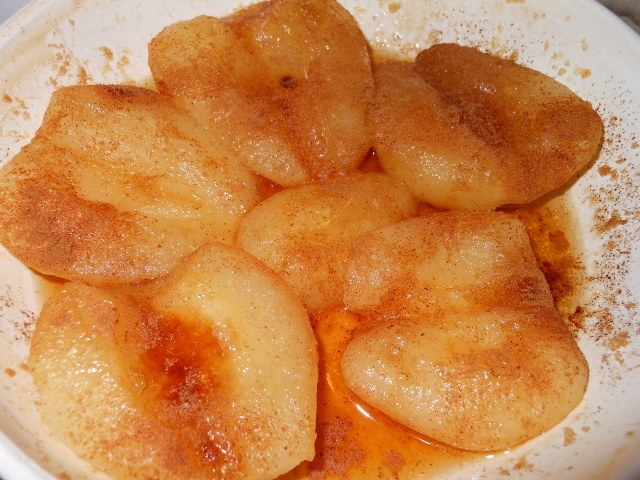 I made some baked pears for dessert tonight; a super simple recipe. I used canned pears so they didn’t need much oven time, just enough to heat through and melt the butter and brown sugar. Butter a small baking dish; use plenty of butter the extra will melt into the sauce. Drain pears and spread in single layer. Sprinkle with brown sugar and cinnamon. Bake at 375 degrees for 15 – 20 minutes.